AmaWaterways has now released its 2018 Europe, Asia & Africa Extensive Brochure featuring its upcoming new AmaLea and eight fresh itineraries. Also on the docket are additional wine theme cruises and active shore excursions. “AmaWaterways is proud to expand our options for travelers in 2018 and roll out new offerings for guests seeking unforgettable river cruising experiences,” said Kristin Karst, executive vice president and co-owner of AmaWaterways, in a press release. 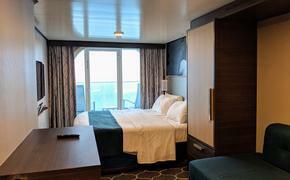 The 156-guest AmaLea will be a sister-ship to the successful AmaKristina, AmaStella and AmaViola, complete with connecting cabins and accommodations for thirds. The riverboat will debut on the Danube with its signature swimming pool and swim-up bar, fitness room and multiple restaurants including the Chef’s Table and its twelve-course tasting menu from award-winning executive chef Primus Perchtold. New onboard will also be a daily free “Sip and Sail” cocktail hour. New itineraries will include six in Europe, plus two exotics in Africa and Vietnam & Cambodia. Rhine & Moselle Delights will be a 10-night journey from Basel to Amsterdam, while Rhine & Moselle Fairytales will be an 11-night in reverse. Both have the option of tacking on a three-night land extension in Zurich. Meanwhile, Danube Serenade will be a seven-night voyage between Nuremberg and Vienna with land extension options in Prague and Vienna. For a seven-night cruise from Basel to Nuremberg, there is Medieval Treasures with an optional three-night land extension in Zurich and Prague. Two other newly featured weeklong cruises will be Rhine & Moselle Splendors from Luxembourg to Basel with optional three-night land extension in Paris and Zurich plus Magical Christmas Markets. The holiday classic will go between Nuremberg and Vienna with optional two-night land extension in Prague and Vienna. As for the exotics, Charms of the Mekong will offer guests a two-night stay in Ho Chi Minh City and a seven-night sailing to Prek Kdam, plus two evenings in Siem Reap, three nights in Hanoi and one more in Ha Long Bay. Wildlife and the Falls will include an evening in Johannesburg, four-night African river safari, two nights in Victoria Falls, another two nights in Johannesburg and a two-night stay at a luxury safari lodge in Greater Kruger National Park. Those seeking a more active lifestyle onboard and ashore will also have healthy food selections and included biking and hiking tours to partake in. Culinary options extend to vegetarian and gluten-free choices. Elsewhere onboard, a new program will boast a wellness instructor for yoga, running and tai-chi classes, as well as health lectures. 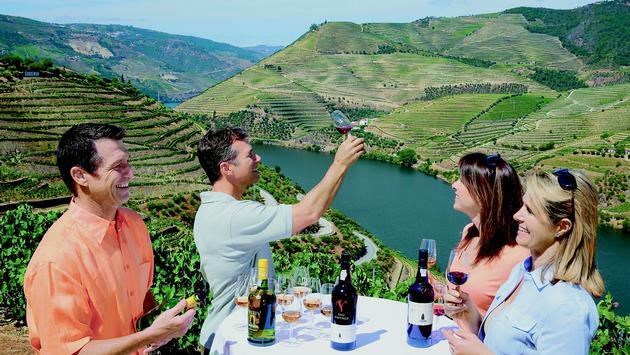 For even more of the good life, AmaWaterways will showcase over 50 wine theme cruises in Austria, Germany, Portugal and France. Special events extend to tastings at local vineyards and private cellars, wine tours and wine expert-hosted seminars. “Whether sailing as a couple, solo or with a multigenerational group, AmaWaterways has a list of offerings in 2018 that will meet the expectations of our cruisers,” added Karst.